Spring is Show Time for fish­er­men across New Eng­land. Next week is the Rhode Island Salt­wa­ter Show in Prov­i­dence, and the fol­low­ing week­end, it’s Red Top! 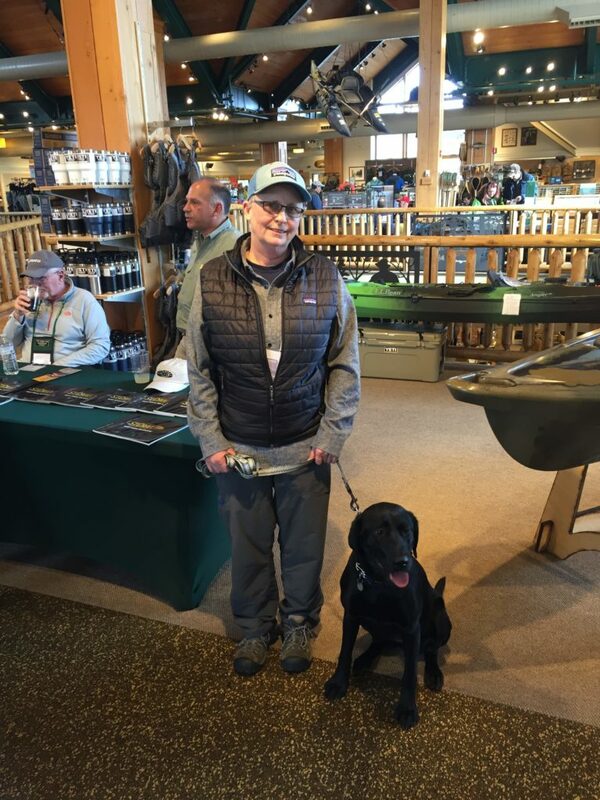 Last week­end I spent two days at LL Bean’s Spring Fish­ing Expo. Freeport, Maine was still snow cov­ered but the fish­er­men were out in force. I love the LL Bean show because I love Maine and its peo­ple. Every­body was enthu­si­as­tic about fish­ing, about LL Bean and about St. Croix fish­ing rods. There were so many sto­ries about how St. Croix had per­formed so well, or about the St. Croix war­ran­ty. “St. Croix for Life” was quot­ed to me by sev­er­al dif­fer­ent fish­er­men. I also had a chance to cross with Bob Mal­lard. Bob was the inspi­ra­tion behind the book 50 Best Places: Fly Fish­ing the North­east. The chap­ter on Cape Cod Bay was con­tributed by me. Bob is cur­rent­ly work­ing to pre­serve and pro­tect native fish through the Native Fish Coali­tion. I look for­ward to see­ing this orga­ni­za­tion grow and expand across New Eng­land waters. Next week­end, March 23rd, I’ll be at the Rhode Island Salt­wa­ter Fish­ing Show. Stop by the St. Croix Fish­ing Rods booth and say hel­lo!